“To speak one hundred times is no better than done it once”, environmental protection is not a thing that only done for speak --- in order to promote China’s green publication, to protect forest resources, the organization “Greenpeace China” launched an activity themed with “Love Books, Love Forest”. Nowadays, the “Greenpeace” invited the well-known product designer Mr. Yang Mingjie to start a cross-border cooperation and created several pieces of bookstands and other creative products that embodies the environmental protection idea, thus to invoke people’s perception to save the forest with these creative designs. 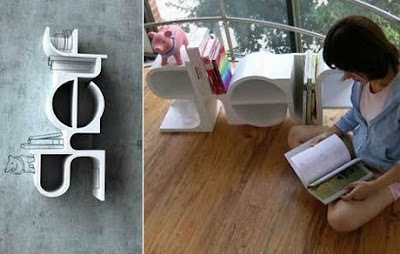 The "Tree Planting" Bookshelf created by Mr. Yang Mingjie and his design team was made from thick cardboard, the overall shape is just like a tree trunk, the image conveyed the concept of "using of recycled paper = trees planting". Books on the shelf are all published on recycled paper, while the creative product, compared with y-town book recycling program. The “y-town” recycling program also was launched in 2008, the program's core idea is to develop products using local recycled materials, as well as to advocate the environmental awareness of secondary use of daily-use products, recycling and saving resources. 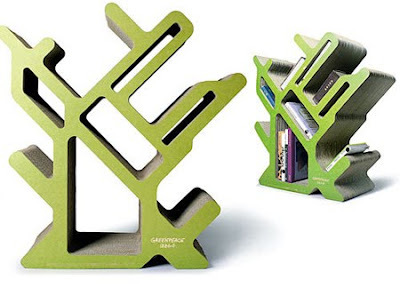 Interesting and useful ideas: Settle the books and articles with priority order. Books in parentheses have the highest priority, followed in brackets, braces minimum. Is said to be made of cherry wood which is both hard and lightweight, each piece of wood can be put up, put down as well as rotate 90 degrees, thus has derived from a variety of display methods. 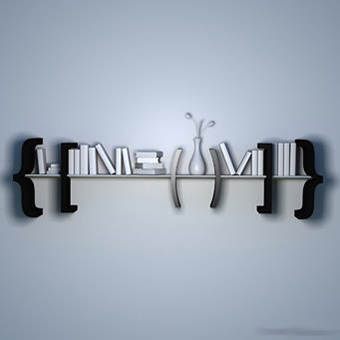 Using this bookshelf you will bound to fall into a habit of take lightly to put lightly. 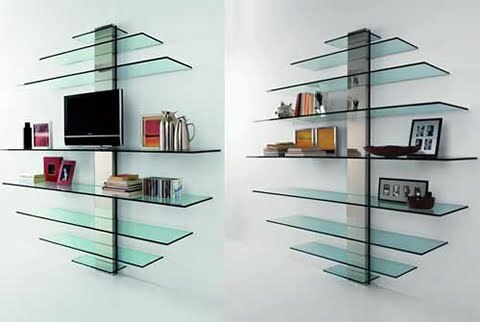 I’m be impelled to say that it is a perfect combination of classical and modern style. 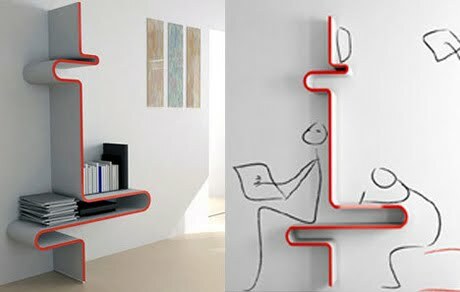 Personally I do not think it is a successful design. Only simple imitation on functions does not make sense. 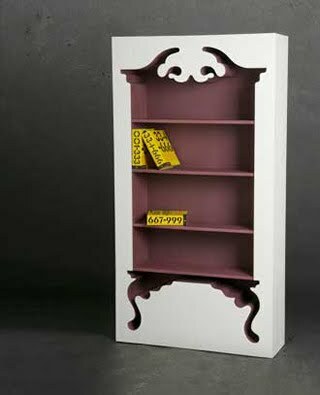 Clapboards and shelves in each layer of the bookshelf can be combined and placed freely, so the book storing place can be customized flexibly. But as if it is no big deal. Very good idea, it is good on space saving as well as very beautiful. Dad reading the newspaper while his son do his homework on the other side, and the mother peeling apples besides, what’s warm picture, you feel very happy even think of such a scenery. 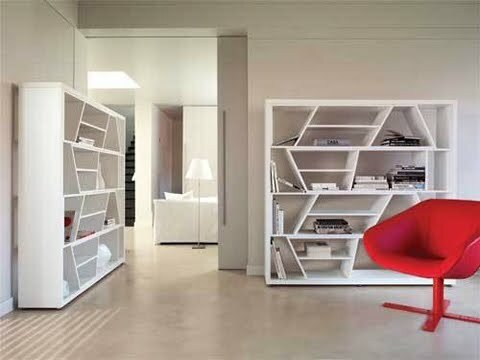 Although the bookshelf can not taking many books, but placing it on the corner, it is also a good piece of home furnishings.